Specifically, the dessert consists of "Choco-brownie, Choco Cookie, Cheesecake, and Coconut Nougatine" (sugar caramelized with coconut) along with fudge sauce on a crispy thin crust. 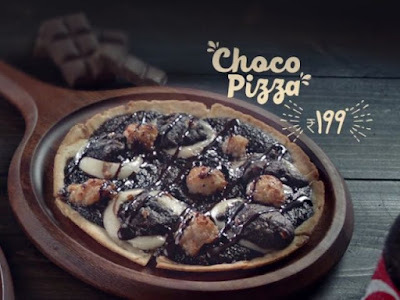 According to the chain, the new Choco Pizza targets "discerning foodie customers." Also meant for "foodies," is the new Quattro Formaggi crust option, which takes the chain's Cheese Burst (cheese-filled crust) crust and fills it with four cheeses (Gouda, cheddar, mozzarella, and ricotta) instead of just the one. 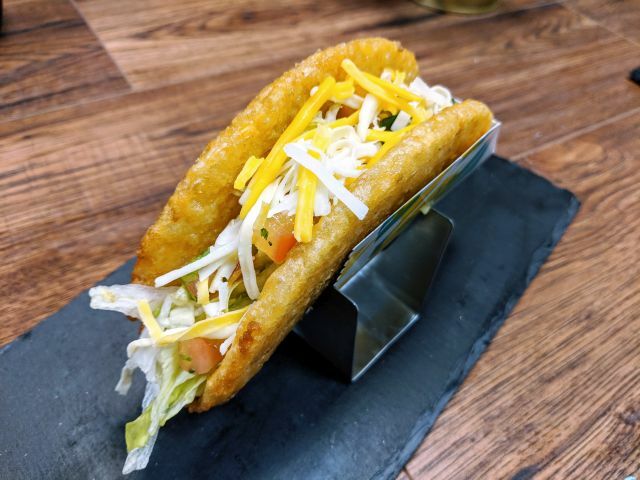 They even have a tagline for the new menu items: "Made for foodies. Made by foodies."